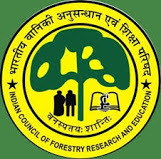 Tropical Forest Research Institute is inviting application for the post of Technician, Lower Division Clerk, Forester, Multi Tasking Staff, Safaiwala. Interested and eligible candidates may apply within 14-May-2018. Candidates applying for Tropical Forest Research Institute jobs may need previous year question papers for preparation and practice. Here you will get details syllabus and model question papers for preparation. Technician (Field/ Lab Research) - 10+2 in Science with 60% marks in aggregate or equivalent from a recognized Board. Lower Division Clerk - 12th Class certificate from a recognized Board. A typing speed of 30 words per minute in English or 25 words per minute in Hindi on manual typewriter or typing speed of 35 words per minute in English or 30 words per minute in Hindi on computer. Forester - 12th Pass from a Govt. recognized Board. Multi Tasking Staff & Sanitation Attendant 'Safaiwala' - 10th Standard pass certificate from recognized board/ recognized school. Download and practice the Asked Questions from the Tropical Forest Research Institute Exam Old Papers. Verify your expected answers with the original TFRI Multi Tasking Staff Solved Question Papers. Refer the TFRI Forester Model Papers along with the Answers. Check the official website for more TFRI Technician Last 10 Years Question Papers. The TFRI Previous Papers are available here for free download. Download the TFRI Forester Old Question Papers PDF along with the Answers. Tropical Forest Research Institute Previous Papers are here to download for free. The candidates who are preparing for Tropical Forest Research Institute Forester Exam and in search for preparation tips & pattern to prepare for the written exam. Applicants can get Tropical Forest Research Institute Previous Year Question Papers & Tropical Forest Research Institute Forester Exam Pattern, Tropical Forest Research Institute Multi Tasking Staff Syllabus from our website. You can also download the TFRI Multi Tasking Staff Sample Questions with answers for free. We have provided the Tropical Forest Research Institute Safaiwala Solved Papers to give proper guidance for the aspirants who are preparing for TFRI Multi Tasking Staff written exam. These Papers are very helpful for the candidates during their preparation for the written exam. Candidates can download Tropical Forest Research Institute Technician old Papers pdf from the links provided below. Download the TFRI Lower Division Clerk Previous Papers to sharpen your skills in various sections. Definitely, using the last year Tropical Forest Research Institute Multi Tasking Staff question papers with answers Pdf, you can practice well for the exam and result will be also good. Hope, you all applied for Tropical Forest Research Institute Exam and looking for Previous Years Question Papers of Lower Division Clerk. That’s why we have provided TFRI Safaiwala Previous Papers along with Answers. Applicants can download Tropical Forest Research Institute Technician Solved Question Papers and start preparation. Why Late! It already announced the Tropical Forest Research Institute Safaiwala Exam date. So, hurry up guys!!! You have less time for the preparation. At first, refer and download TFRI Safaiwala Syllabus & Exam Pattern. Then, download the TFRI Lower Division Clerk Model Question Papers. You can use these TFRI Technician Old Papers as a reference for your practice. Aspirants can find free downloading for Topic wise TFRI Multi Tasking Staff Previous Papers. Applicants can just click on those Tropical Forest Research Institute Forester Sample Papers and practice them to get a good score. Therefore You can also visit the official site to get more Tropical Forest Research Institute Safaiwala Sample Question Papers. The applicants who are searching for the Tropical Forest Research Institute Multi Tasking Staff Question Papers reached the right page. You can get all the Previous Year Question Papers of Lower Division Clerk here. These papers are very helpful for boosting your preparation. Hence, applicants can download the TFRI Multi Tasking Staff Model Papers with Answers pdf from the below free downloading links. By practicing the last year papers of Forester, the candidates will understand how to manage time in the examination. Thereby the applicants can able to answer more questions and can get high marks in the examination. Aspirants who are going to write the Tropical Forest Research Institute Lower Division Clerk Written Examination might have started their preparation. So, we have provided TFRI Technician Model Papers for the sake of applicants. People can also check the solutions for the Tropical Forest Research Institute Previous Papers. Therefore check your answers with the actual solutions while practicing Tropical Forest Research Institute Safaiwala Old Papers. Then you can know your confidence levels and get the experience.